Grab has come up with a food delivery service, called GrabFood, as part of its plans to offer users a one-stop app for transport, food and payments in future. Launched today, it joins a market already served by other players such as Deliveroo, Foodpanda and Honestbee. The difference that Grab brings is integration with its other services, such as transport and payments. For example, the same mobile wallet used to pay for taxi rides can be used to pay for food delivery. Rewards can be used across the services as well. Now out in beta, the food delivery service replaces Uber Eats, which ceases to work in the region today. 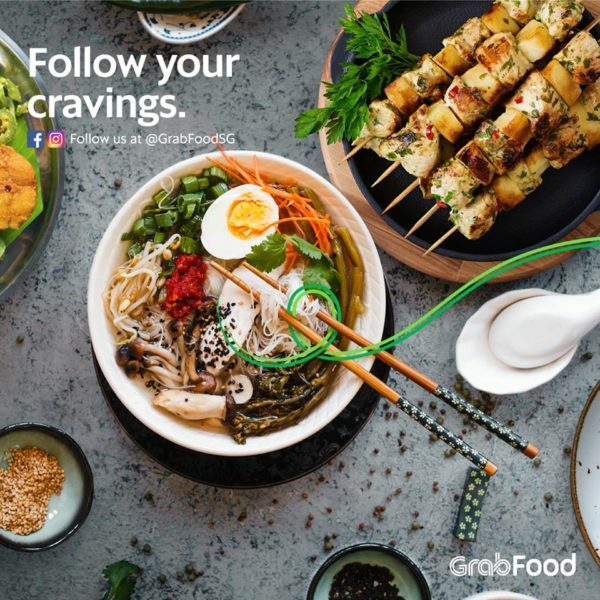 GrabFood will be rolled out in six countries in Southeast Asia within this quarter, according to Grab today. In Singapore and Malaysia, users will use a separate app, while those in Indonesia, Thailand, Vietnam and the Philippines can expect to order food within the main Grab app. This is the latest change for users after Grab ousted Uber from the region following years of competition. In March, the companies said they had reached a deal for Uber to receive a 27.5 per cent stake in Grab, in exchange for exiting Southeast Asia. Since then, regulators in the region have tried to rein in the market power that Grab suddenly acquired, thanks to the lack of meaningful competition. In Singapore, for example, the Uber app had to remain online even after the American company decided to abandon it. Since Uber upped and left, however, the impact has been swift. Many drivers and passengers have complained about fewer incentives or discounts with only one dominant player in town. “There will be unhappiness and complaints,” said Lim Kell Jay, head of Grab Singapore, at a media briefing this morning. However, he said the company is testing new revenue streams for drivers, for example, for them to get paid for displaying advertising on their vehicles. Passengers can use the rewards they accrue through rides to get deals at partners such as NTUC Fairprice, he added. 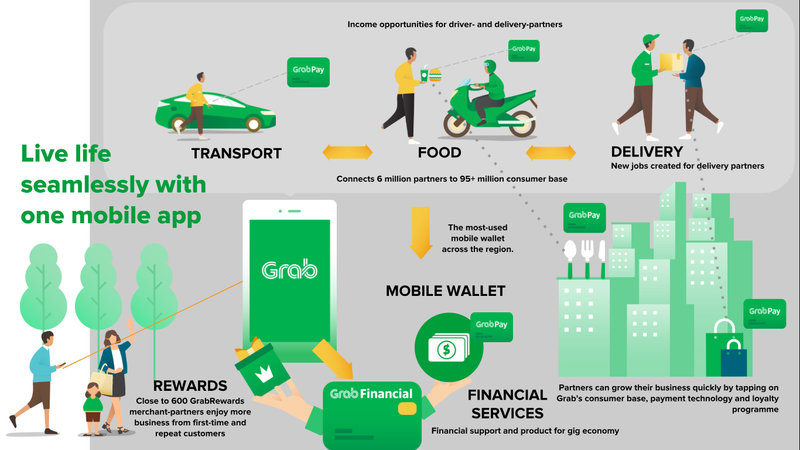 Asked about regulatory scrutiny as it expands its services, he said Grab is engaging the Competition and Consumer Commission of Singapore to explain that it would go beyond transport and branch out into new services. 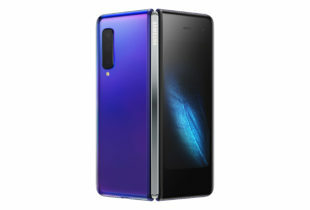 In a video it released today, the company sees itself offering a one-stop app that lets a user book a ride to work, order food and pay for items at retail shops. For drivers and delivery partners, micro financing is available for those with good credit rating. Grab actually is slow to the game when it comes to expanding beyond transport. Indonesia’s Go-Jek, Grab’s only notable challenger in the region, already offers to hook up motorcycle rides, food delivery and even massage services on its app. In China, Tencent’s WeChat, for example, offers numerous services from booking cinema tickets to the transfer of money between users. It is what other platform companies like Grab aspire to – an indispensable platform that users need for their everyday chores. Indeed, this is what platform companies are built to do, to gain a monopolistic position to win on network effects. Either they scale up to grab the market for themselves or they get gobbled up. Fresh from ousting Uber from the region, Grab will now seek to fight off challengers such as Go-Jek, which recently talked up its move to enter Singapore. The game plan is the same – expand and scale. Though Grab is barred by regulators from using data that its former rival Uber had amassed, it still has a lot of information on the habits and preferences of 95 million users across Southeast Asia. This is its big bet to grab a bigger chunk of markets, such as food delivery and payments, where it is still a relative newcomer. Being the dominant player in town, it will be difficult to bet against.